Miami Wedding Event Planning Firm, Lourdes Milian Productions, has prepartions and a surprise decor plan underway, for the anticipated party of the year, being held at the JW Marriot Marquis Miami on October 4, 2014. 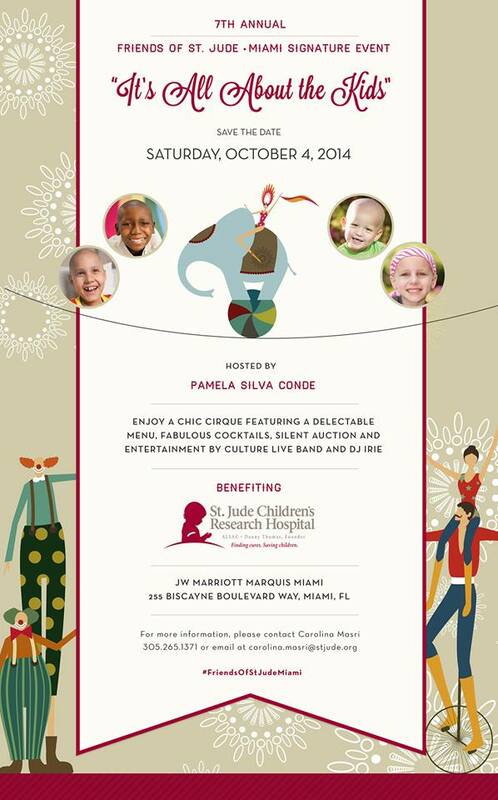 St. Jude Children’s Research Hospital 7th Annual It’s All About The Kids Signature Event, is coming together with the collaboration of many talented and generous Miami vendors, that are hard at work to make this year’s cirque event one to remember. Coming together for one cause and a night of hope, for so many families fighting with one purpose in mind— a chance at life.